This Solar Imaging Lab was done by the class on April 2, 2013. 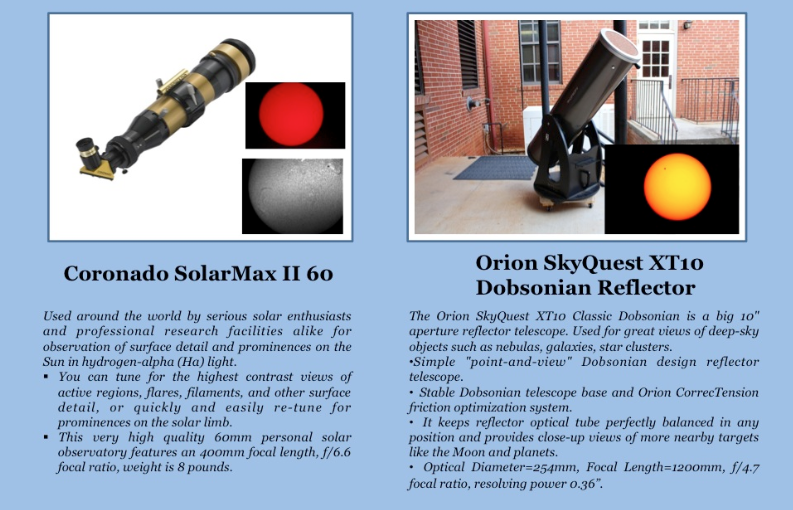 The Dobsonian Reflector - Views the sun in visible light, good at located sunspsots, but not much more detail. Your first assignment is to download, from the files below, one of your Hydrogen alpha pictures, and one of the Dobsonian images. In class, we will use the Registax image processing program to improve the visual appearance of your photos. 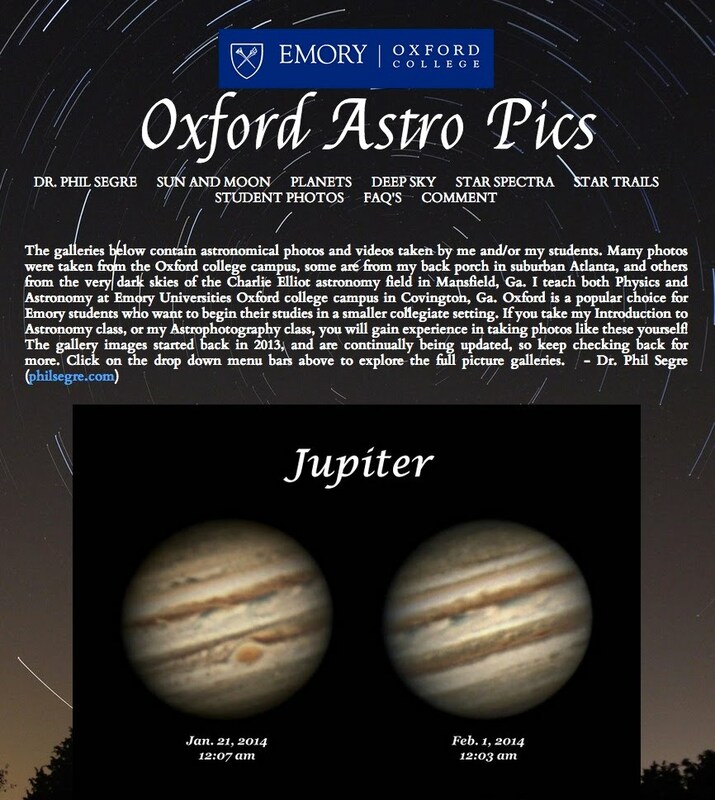 (Note that if you are not totally happy with your Hydrogen alpha pictures, you can use of of the ones labeled Best-1 and Best-2 instead). 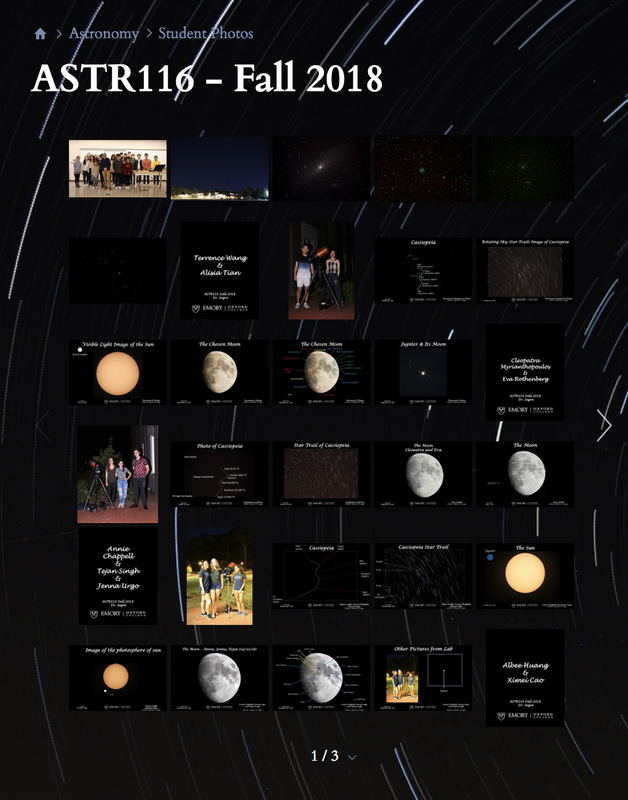 Print out a copy of your processed photos, 1 from each telescope, and email me your processed photos when you are done. Your second assignment is to do some analysis on the images to determine the names and sizes of some of the features seen. On your printed photos, label any observed features such as sunspots, prominences, filaments, granules. Both telescopes show a prominent sunspot, estimate the size of this sunspot from the known size of the Sun. Give the size both in kilometers and in Earth diameters. Parker also took a dramatic photo, the first one below labeled a-Prominence-pciliax 3.jpg, showing a large Solar prominence rising above the Solar surface. Print out this photo and estimate the size of the prominences seen. Give the sizes both in km and Earth diameters.